Published by Afterhours Books, 'Bobo: The Traveling Hound' comprises travel stories as well as artworks by abstract artist Hanafi. 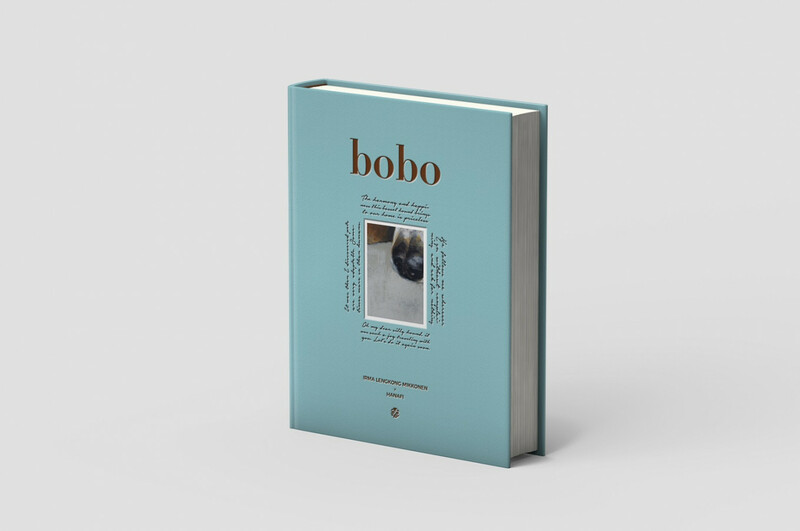 'Bobo: The Traveling Hound' will be presented at the 2019 London Book Fair. 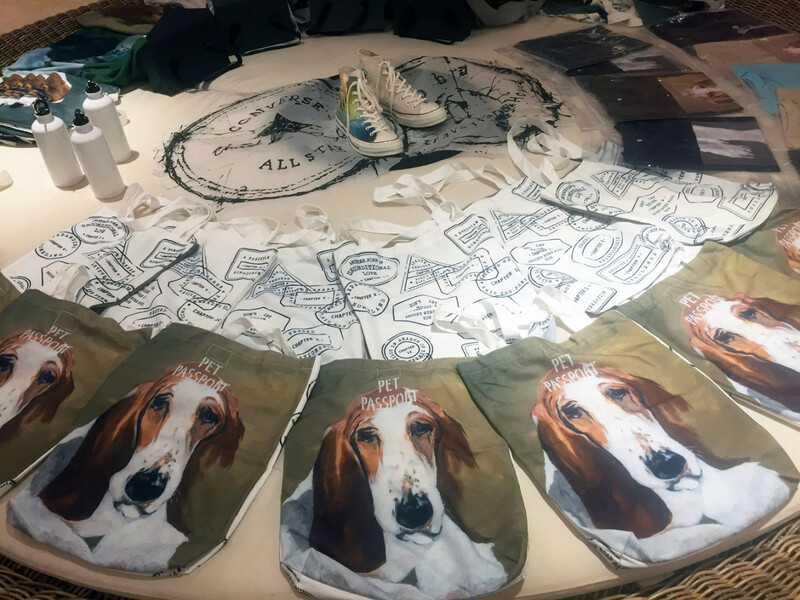 Hanafi's artworks adorn 'Bobo: The Traveling Hound' merchandise. Some of Hanafi's artworks display in 'Bobo: The Traveling Hound' exhibition at Grand Kemang Hotel. South Jakarta. Globetrotter Irma Lengkong Mikkonen has traveled the world since she was a child. In 2015, she got a new travel companion, a basset hound named Bobo. Together, Irma and Bobo started a new adventure traveling around the United Kingdom. Once Bobo got his pet passport, they started to travel to other European countries. The relationship between Irma and Bobo is documented in a book titled Bobo: The Traveling Hound. Published by Afterhours Books, Bobo: The Traveling Hound comprises travel stories as well as artworks by abstract artist Hanafi. For the book, Hanafi created paintings of European cities and its people based on Bobo’s perspectives. “I borrowed Bobo’s eyes to see the people [and their surroundings],” Hanafi said during a press conference in Grand Kemang Hotel, South Jakarta, on Friday. The book was created between June and December last year. Irma, Hanafi, Bobo as well as the book’s editor Heru Joni Putra traveled to three European countries, namely France, Belgium and the Netherlands, while developing the book. As a collaborative book, Heru said the stories and artworks in Bobo: The Traveling Hound were created as a dialogue, responding to one another, instead of serving as illustrations of the stories. 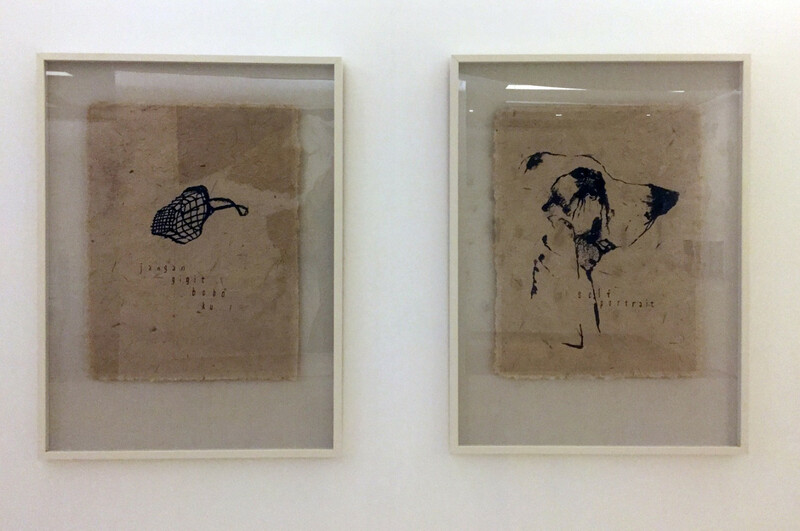 “There are several illustrative artworks. But other than that, there are no [works] that describe the stories,” explained Heru. Along with the European countries from Bobo’s perspectives or Irma and Bobo relationships, the book also shares some discoveries about human and pet relationships. Irma said that dogs and human relationships had existed for centuries, as seen on paintings in the Rijksmuseum in Amsterdam, Netherlands. “In Paris, you can see dogs in retail store windows. Meanwhile, in Belgium, there’s Tintin and Milou, which is a big part of Belgian culture,” Irma said. During the journey, Irma also found that dogs could help to restore faith in humanity. “In recent years, there has been a refugee crisis in Europe and its people have been acting more hostile,” she said. 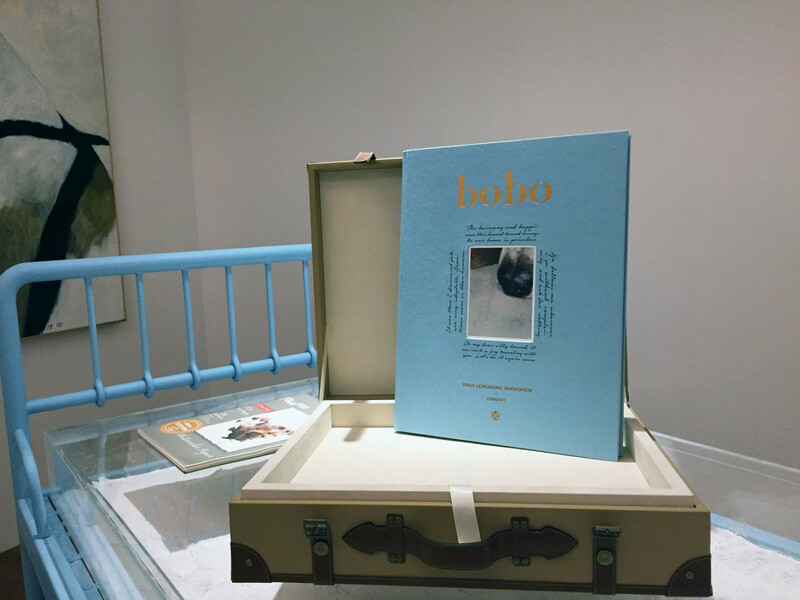 For a closer look of the book, visit the Bobo: The Traveling Hound exhibition at Grand Kemang Hotel. Slated to run until Feb. 3, the exhibition features Hanafi's selected works he created after exploring Europe with Bobo. In addition to the exhibition, bookworms can also learn about the book at the 2019 London Book Fair, which is slated to run on March 12-14.